It’s been quite a long time since S. Chihiro (flip through an issue of Marquee, he's the one with the bass and the weird helmets) and company have released a full album – about ten years. Yes, there was the reissue of their "Gishin-Anki" single on the Lost Years in a Labyrinth compilation a couple years back, but Chihiro has been quiet musically for the last few years, occasionally writing for Marquee. So here's a new album in the 70 minute realm of rather short compositions made to flow as a whole and in the familiar Lacrymosa style. Lacrymosa, like the Japanese group Katra Turana, were very much influenced by Atem stable – you know groups like Art Zoyd, Present, and Univers Zero or those related like Nazca. Easily you should be able to get an idea of whether or not you'll finish this review! 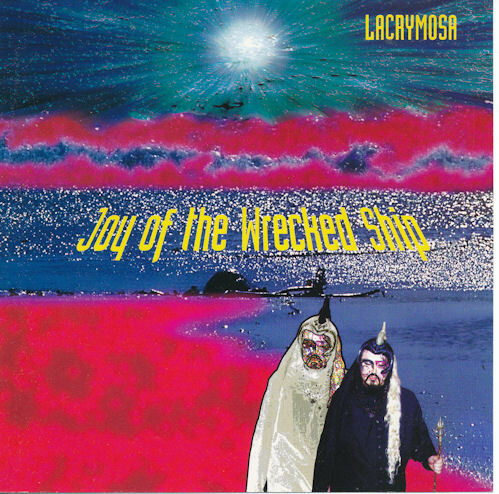 While the jagged neo classical chamber rock musings are certainly here, Lacrymosa mix a good dose of Eastern influence into the music similar in many ways to the first album (aka Bugbear). The difference here is maturity. The instrumentation is very diverse, rarely does one track sound like another. The chromatic stylings typical to the bands related above isn't everywhere - sometimes there are much more melodic tracks with female vocals and traditional instrumentation. Obviously there is a lot of classical music in here like Bartók, Stravinsky, Dvořák, or even Satie at its most whimsical moments. For seventy minutes there's an awful lot going on to be able to absorb it all in a few listens, but the more I listen to it the more I like it. It is obviously all well thought out and professionally executed and overall rather original. Well done.